I had a really fun time putting together this outfit because sequins and the color black are two of my favorite things right now! This sequin shirt has been in my possession since high school, but I never really knew how to wear it. I actually tried selling it at one point (thank goodness I kept it)! 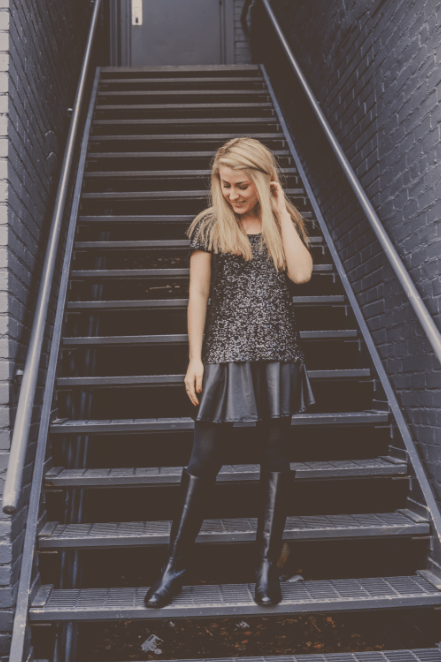 When I got this adorably edgy skirt from RaeLynn’s Boutique I immediately knew it was the perfect match for sequins. This skirt has become a staple in my wardrobe! It can quickly turn a simple outfit into a trendy one. I think I love this outfit combo so much because it is the perfect mix of fun and edgy! Whenever possible, I like to mix different textures because it adds depth and style to an outfit. I am also into outfits looking effortless and simple, which is why I chose to not add jewelry since the sequins are a statement in itself. I chose to wear tall black boots because it made the outfit more casual, but I could easily throw on some black heels to dress it up for dinner with friends! The Perfect Winter Sweater for Everyone! I absolutely love this look! I’ll definitely have to try to recreate it (but with my own spin on it ). Great look! 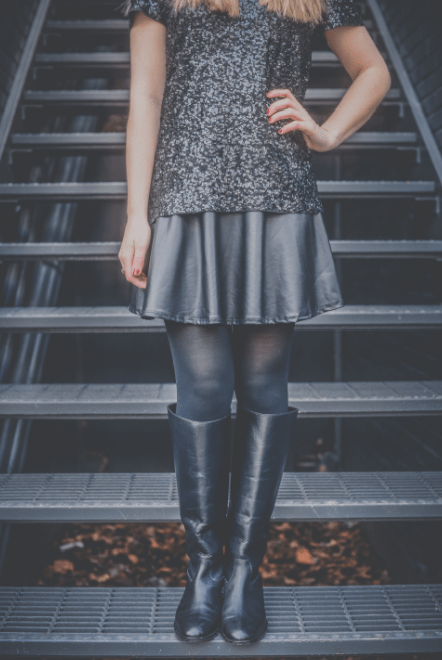 I love sequins and leather together and that skirt is so cute! I love black on black, such a chic and edgy combo! 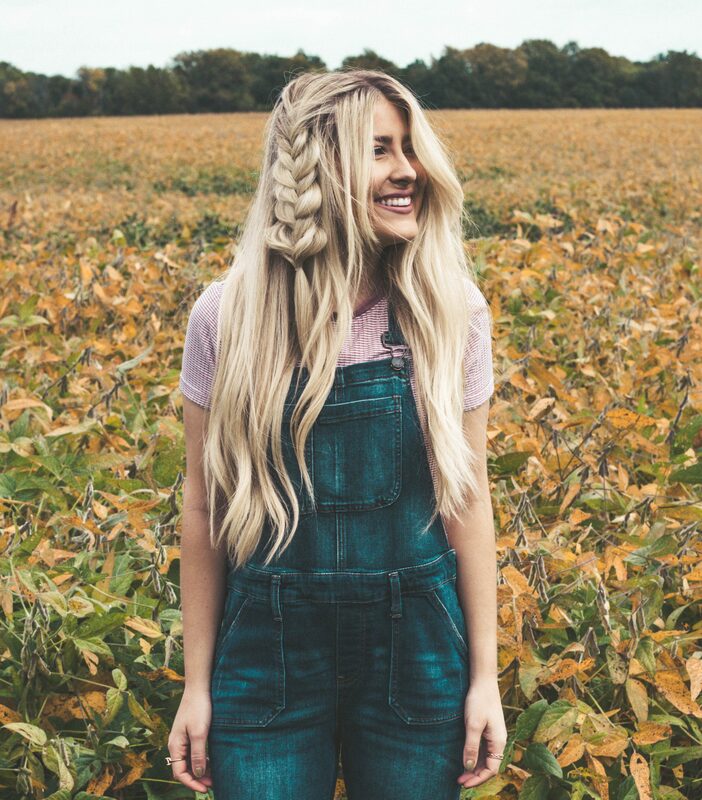 Cute outfit and cool shoot! Love it. i love that you’ve had this shirt since high school! good thing you kept it. so cute! I have been waiting for the right outfit to pair it with. 🙂 thanks! Copyright © 2019 DAHZ All Rights Reserved. Hannah Shanae.